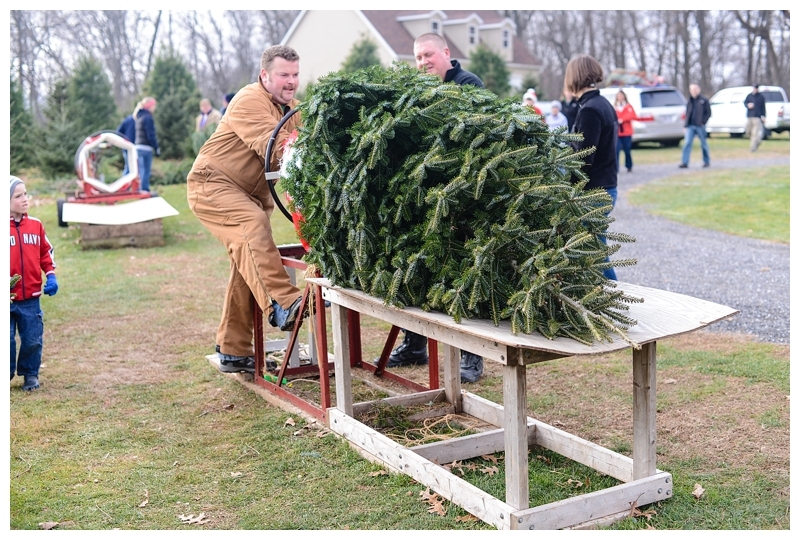 We've been going to the Hale Tree Farm for several years now. We love driving up there and picking out our Christmas tree. This year the weather was warmer than usual, which made it even more enjoyable. The kids look forward to the mini candy canes they hand out (my kids adore candy canes). The boys wrestled and rolled and played hide and seek amidst the pine trees. It took us a while but we finally found our tree. That evening, we decorated the tree. Which means we inaugurate the Christmas season with a glass (or two) of eggnog. 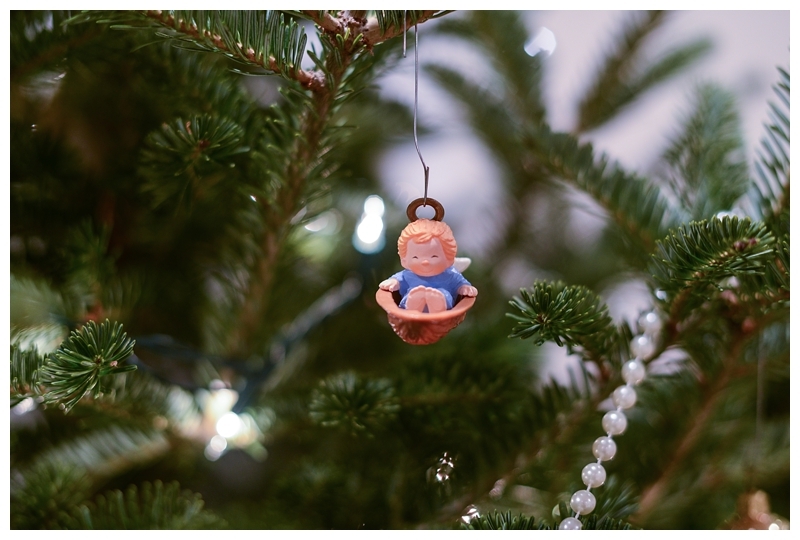 The little angel boy in the walnut shell remains one of my favorite ornaments since childhood. Sophia was enamored by the little dolly ornament that I received from my Aunt Bibby, who has since died. I got it when I was about two-years-old myself. I have many ornaments from Aunt Bibby. I look forward to passing this little dolly onto Sophia one day. I'll be sharing more pictures of our tree and decorations soon when I participate in a Christmas Tour of Homes! I'd love to see your decorations and learn about your traditions too!